These handmade plant supports are adjustable, and the foliage and flowers can hide them completely. What do all these plants have in common ? Peonies, Tomatoes , Delphinium, Perennial Sunflower, Rudbeckia laciniata, Oriental poppies, Foxgloves, Aster bellflower, Leucanthemum, Dahlias, Crambe cordifolia and Heliopsis......and I can add lots of etceteras. Well they are all plants that the RHS recommend be supported, and a ring support is by far and away the easiest and most effective to use. And Mark has made us just the thing ! 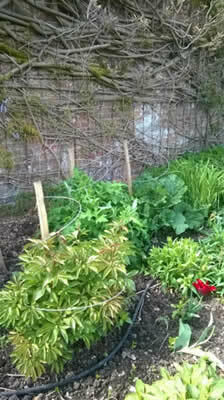 Mark is a woodworking craftsman working down in Kent, and his wife is a head gardener at a local stately home. 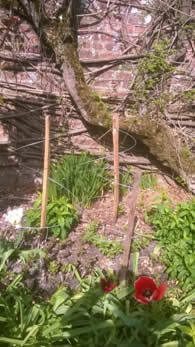 They put their heads today and designed this plant support which then Mark made by hand from Chestnut palings. There are loads of reasons to stake your flowers. 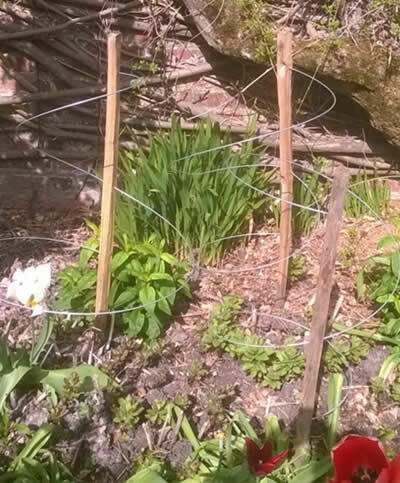 To avoid wind damage, delphiniums spring to mind, or because the weight of the flowers, a floppy peony anyone, or just to keep plants in order, cat mint can be a scruffy urchin, these handmade plant supports are ideal. And not a hint of plastic ! 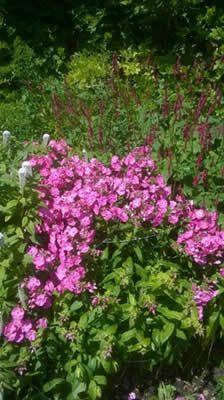 You can stake of course at any time, normally it is best in the Spring when plants are quite small. 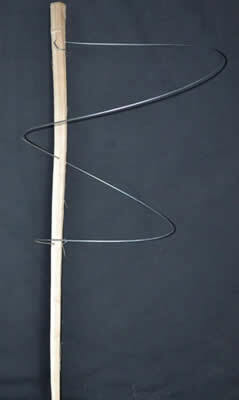 However with this easily adjustable plant support you can stake when the plant is quite large without damaging it. They are 3’ 6” high, and can easily be collapsed and stored for next season. 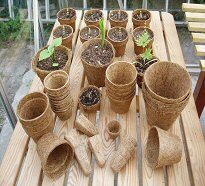 The best ideas are often the simplest, combine a good idea with sturdy materials and hand crafting and you get a real result – like these herbaceous plant supports.